Getting your lunch right will give you the vital nutrients and sustained energy to power you through the afternoon and prevent evening over-eating. If you're trying to stick to a healthy eating program you can get quickly derailed at lunch time by a visit to the food court. Most food court lunches contain about 30% more calories than most of us need, plus tend to be high in saturated fat and salt. Portion out your lunch for the next day when you are serving up dinner - this will remove the temptation to go back for seconds. Shelf stable, tasty, plenty of fibre - what's not to love? I like to combine with a brown rice pot and add extra crunchy veggies on the side. A great vegetarian option with loads of fibre. 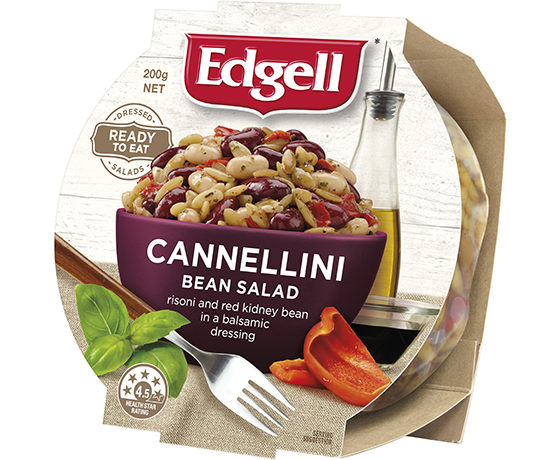 If you don't get many legumes in your regular diet these make a great addition. While we are talking about shelf stable vegetarian options I also like the Naked Kitchen's Mexican Black Bean Chili. Cook up a big pot at night or on the weekend, so that you have enough for leftovers. Here is a recipe for my Italian country soup which is really filling and gets you well on the way to hitting your veggie and fibre targets. If you're stocking up at the supermarket the La Zuppa pouch range is good - I like the Kale, Quinoa and Vegetable or the Italian minestrone. The Campbell's Simply Soup Healthy Greens is 68% vegetables and quite tasty. I usually need to add a hard-boiled egg and a slice of grainy bread to the store bought options to fill me up. drain, rinse and pat dry a tin of chickpeas, toss with a mix of cumin, ground coriander, paprika, and some chilli flakes and 1 tablespoon of EVOO and roast at 220 for about 20 minutes. A great protein addition to salads.